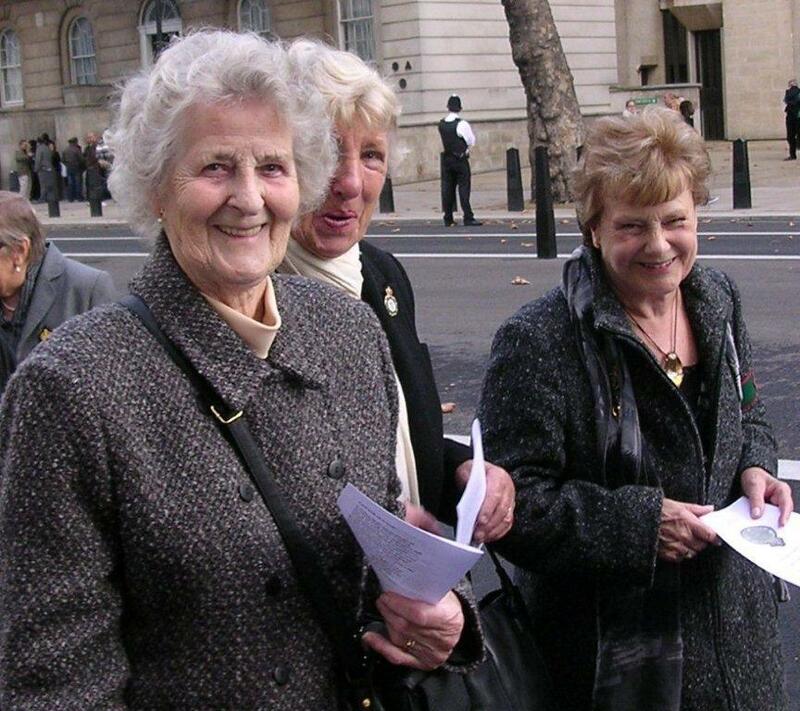 Eventually in 2000, the Women’s Land Army were finally invited to march past the Cenotaph on Remembrance Day – in honour of the work which they carried out over 50 years before for their country. 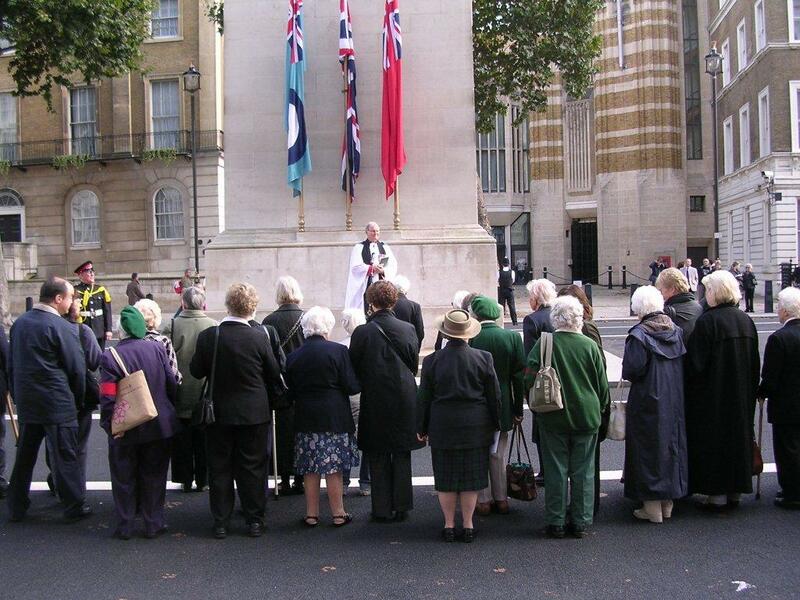 The last Women’s Land Army March past the Cenotaph was on 13th October 2012. To read more about this final March, please click here. 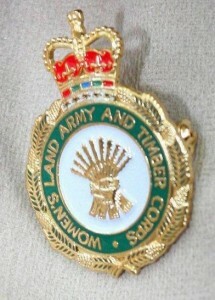 After much campaigning, the British Government announced in December 2007, that the surviving Land Girls would receive a special Veteran’s Badge. 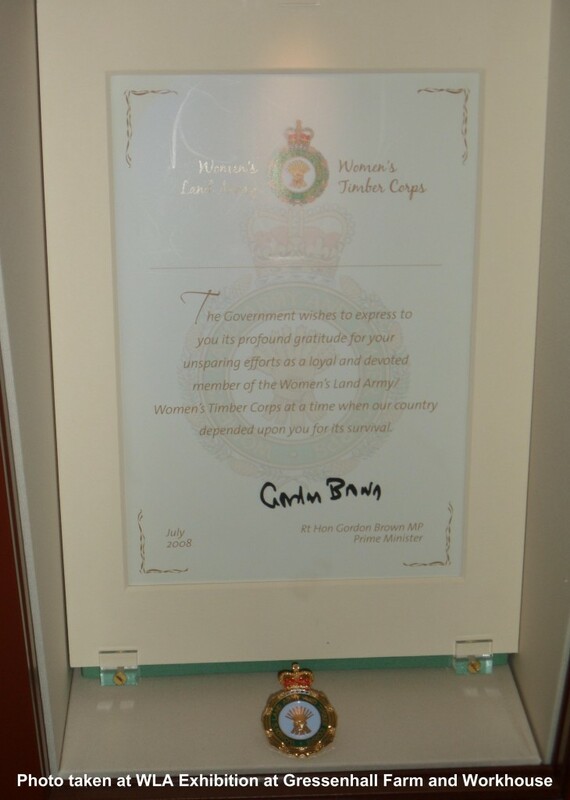 These were awarded to surviving former land girls from July 2008 onwards. 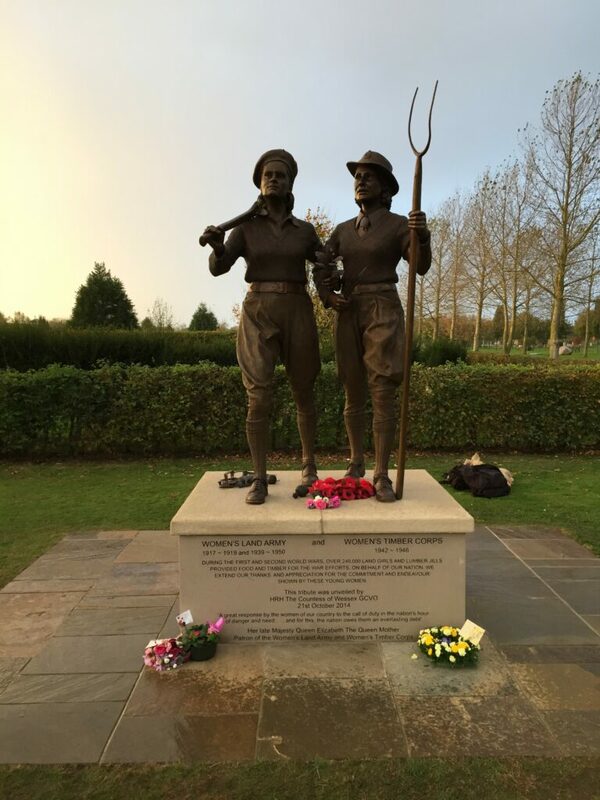 In October 2014, HRH the Countess of Wessex unveiled the memorial to the Women’s Land Army and Women’s Timber Corps at the National Memorial Arboretum. Read more about recent Land Girl news on Stuart Antrobus’ Women’s Land Army website here. To see a copy of the sample certificate in The Archives, please click here. To see photos from the unveiling of the WLA and WTC memorial at the National Memorial Arboretum, please click here. 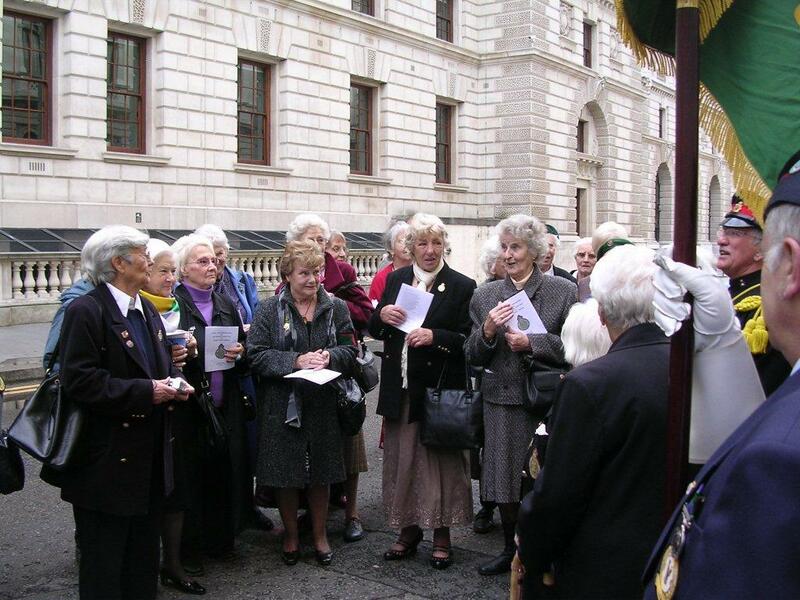 A brief service at the Cenotaph for former land girls and lumber jills, October 2009, as part of the annual WLA Remembrance event which ended in 2012.